Two representatives from RASA, the Radio Amateur Society of Australia, will be attendance at our May meeting! Ian VK3BUF and Chris VK3QB have offered to come along and both present, explain and discuss their reasons for a second representative body for Australian Amateurs. Whatever member’s thoughts are about either the WIA or RASA, all of us should endeavour to always best understand both sides of any situation. With this in mind, attending members and visitors will be able to explore their thoughts and concerns with Ian and Chris who believe that RASA is not a divisive influence, but more a healthy competition, thus inspiring everyone to work harder for our hobby. It’s sure to be a most interesting meeting whatever “side of the fence” you may sit ! The next meeting of the Illawarra Amateur Radio Society will be held on the 14th of May at 7:30pm at Coniston Community Hall. Our meeting place has recently undergone a major overhaul. In addition to accessibility improvements, there is new flooring, roofing, heating and lighting. The wait was worth it! 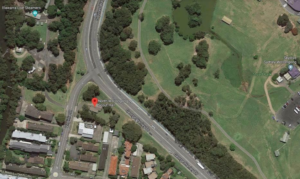 Just a friendly reminder that the next meeting of the Illawarra Amateur Radio Society will be held on the 8th of May at 7:30pm at the Coniston Community Centre. The Centre has been refurbished and we can’t wait to check out the old hangout. 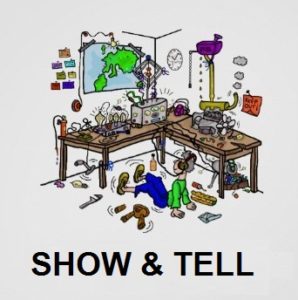 The next meeting will be a SHOW & TELL, bring along pictures and projects of something you have been working on or even some plans of future projects. Bring your pictures on a USB stick ​as there is a overhead projector to use​ and there is a white board also available. At the meeting you will also have the opportunity to order a DMR radio. The deal discussed at the last meeting indicated a good price for a QTY of DMR rigs. Speak to Jesse VK2ZJB at the meeting to firm up your order. After the meeting we can have our usual cuppa, chat with mates and grab a few biscuits. Just a friendly reminder that the next meeting of the Illawarra Amateur Radio Society will be held on Wednesday the 11th of April at 7:30pm at the North Wollongong Scout Hall. The location is To Be Advised at this stage so keep checking this website for further information. After the December Christmas Meeting there will be no January Meeting. The next meeting will take place on the 13th of February 2018.